The Imperator is Razer's latest gaming mouse, and it may be their best—oddly, because it feels like a mouse from an entirely different company. It's $80, which is about par for the gaming mouse course. It uses the tracking engine that's standard on all of Razer's high-end mice now, a 5600dpi sensor, as mentioned above, with a 1000Hz polling rate for 1ms response time. And, like every other major Razer mouse, it's got onboard memory for storing profiles of macros and DPI settings. These things work well, as they have on previous Razer mice, though how much you need major gun specs is really up to you. What's different about Imperator is that it's a totally new ergonomic direction for Razer, who's previously iterated the same form factor several times over for its right-handed mice (even Mamba, their wireless mouse, uses a tweaked Death Adder shape). It feels a lot like a Logitech mouse, actually, of the MX500 ilk, to be precise. 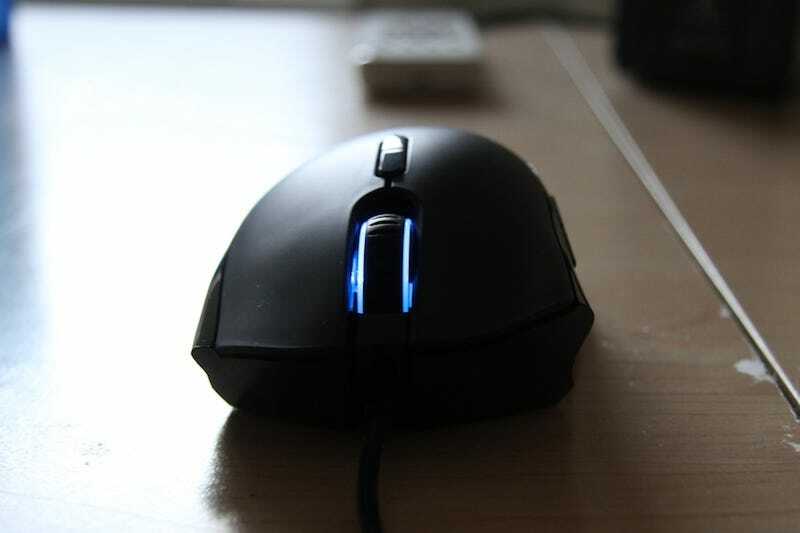 It's more compact than the expansive DeathAdder, which you basically sprawled your hand on top of, forcing a more aggressive, and more ergonomic, grip on the mouse. I feel like it's an improvement by taking a definitive ergonomic stand, but it loses that flexibility in how you hold it, which was the real genius of Razer's previous right-handed mice, so former Razer diehards might not be keen on it. Also new are adjustable thumb buttons—that is, they slide further up or down the mouse, so you can place them where you want. The problem is that they're too thin now, and I'd prefer simply larger thumb buttons that are just easy to hit, wherever your thumb's at. The thick, braided cable is another upgrade, replacing the thin, fragile cable Razer's historically used, bringing them up to speed with gaming mice from Logitech and SteelSeries. What makes this my favorite Razer mouse yet is the grip, combined with the solid sensor and tracking they've used for a few mice now. Is it worth $80? My answer's the same as it always for gaming mice: If you think so.